St. Oswald's CE Primary SchoolLanguagesAn exciting visitor! 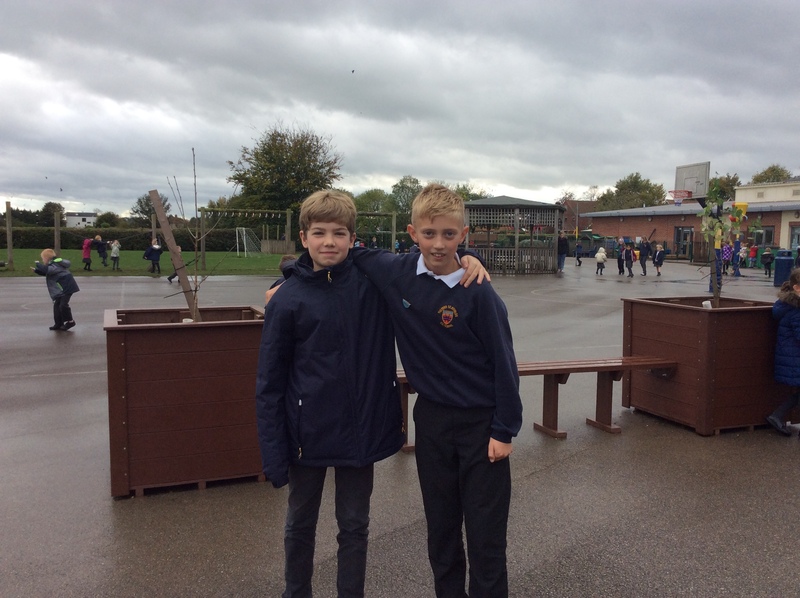 Today we are very pleased to welcome Jonny to our school. Jonny lives in Berlin and attends our partner school “The Fläming Grundschule”. 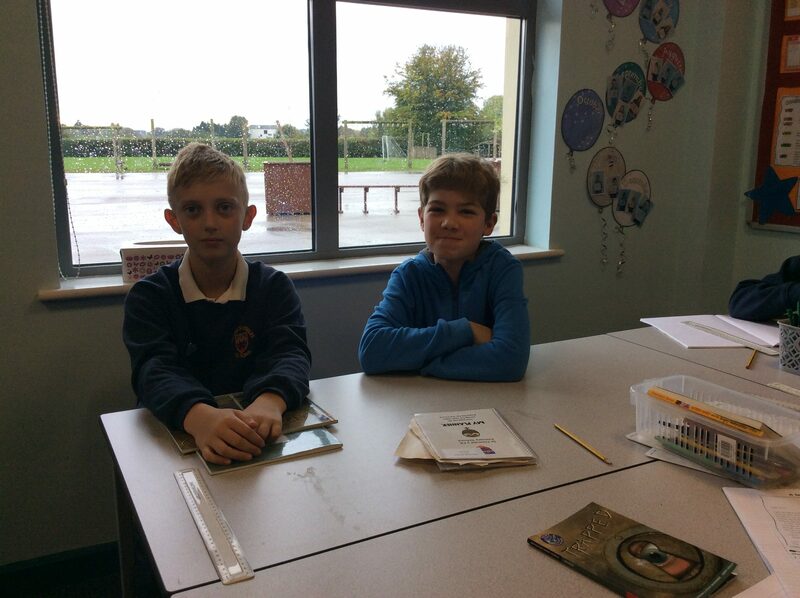 He has come to spend a day shadowing his e-pal, Alex, in Mrs Bell’s class. This morning he has joined in with maths, literacy and guided reading and this afternoon he will find out what our Year 5s and 6s do in science, as well as visiting the Year3/4s in their German lesson. Jonny has already noticed quite a few things that are different from his school back home. He doesn’t have to wear a uniform at his school, and he doesn’t have to stay for lunch at school, children go home in the afternoon. Jonny has English lessons every day, and he speaks English beautifully. Jonny says the maths lessons are very similar in his school. But here we are lucky to have smartboards. In his German school the teachers have to use a chalkboard. 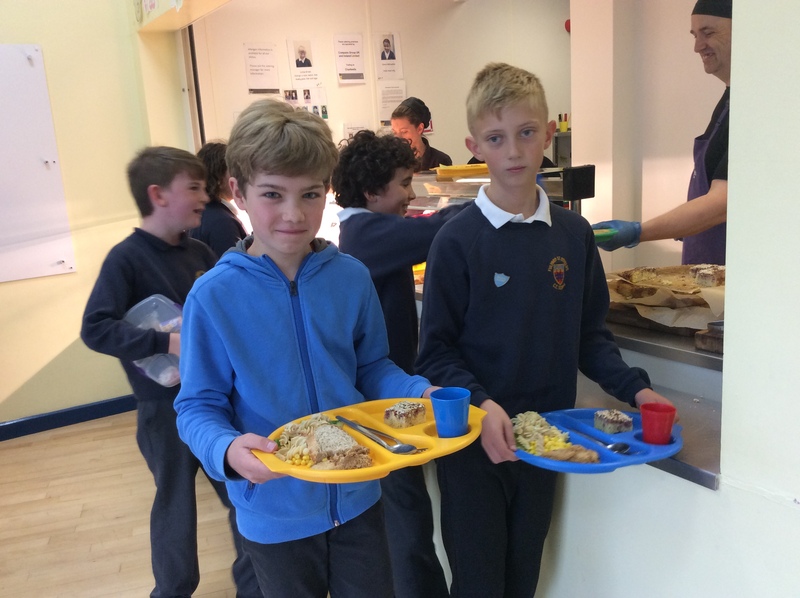 Here are Jonny and Alex going for a school lunch together and enjoying playtime. We wish Jonny a safe return to Berlin and hope that he will visit us again in the future.